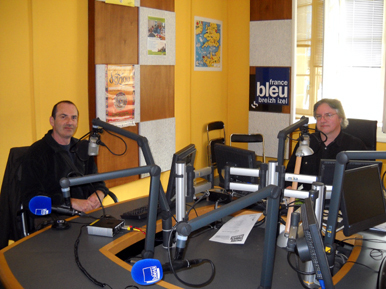 Saturday February 26, 2011, l'Expédition Scyllias was invited by the radio station France Bleu breizh izel. This day, the reporter Michel Pagès welcame Jean-Louis Maurette during the programme "Breizh au pluriel" ("Breizh in the plural") in order to talk during 45 minutes about the book/dvd Epaves en baie de Lorient and the Morbihan engulfed heritage. This was also a good opportunity to relate several major actions led by l'Expédition Scyllias since 1995, to talk about its motives, its aims and of course some of the coming projects in Brittany and foreign countries.